I’m headed to my favorite city today, with my crunchy friend Casey, so I’ll be back next week to post on our crazy adventures! In the mean time, remember this post where I talk about being a Dave Ramsey fan? Well for years I’ve heard him talk about these eMeals and finally tuned in. The commercial definitely caught my attention as they added meal plans over the years, like Gluten-free. 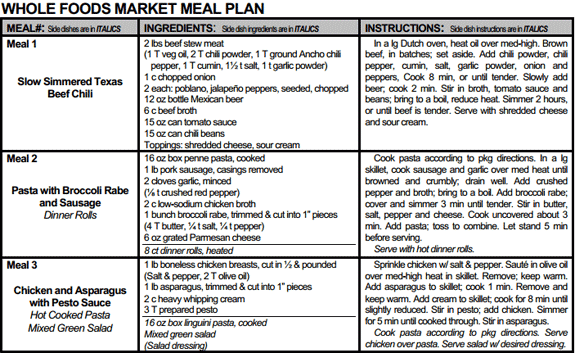 Well now they have added a Paleo meal plan, and that has totally sparked my interest! I had a lot of success when I did my cookbook challenges (here, here, here, and here), but don’t think it was very cost effective. Since I try to shop local, organic, and grass-fed/pasture-raised, it tends to get pricey. I’m not complaining though. 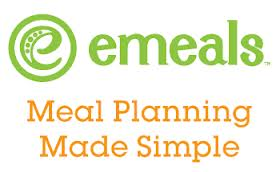 These eMeal plans give you a specific ingredient list to shop for at various grocery stores, along with the recipes, for either 3, 6, or 12 months. The crazy thing is the cost. You can also add Weekday Lunches for $4/month and Healthy Breakfast for $3/month, if you need additional help. I don’t about you, but this sounds like a ‘no excuse to eat right’ kind of plan! I personally was thinking of doing the Paleo plan for three months to see how it goes. I figure I spend enough as it is on food, so why not have someone tell me exactly what to shop for? I think I’ll give it a shot and let you know how it turns out. Anything has got to help me stick to my budget…especially in the grocery department. So, are you curious? Does this sound something for you and your family could benefit from? Maybe this will give you an idea of what to cook so you’re not tempted to run out for something crappy quick. Even if you don’t do it forever, it could at least get you started on meal planning-I know I need to get better at it.